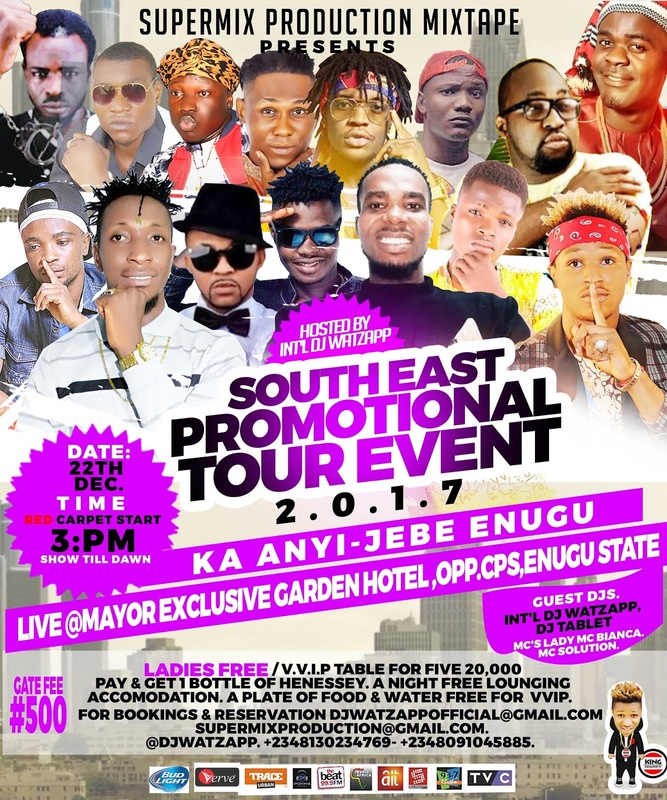 Alaba Report: NAIJA GET READY AS SOUTH EAST PROMOTIONAL TOUR EVENT 2017 LOADING.. EVENT HOSTED BY INT'L DJ WATZAPP THE ONLY ONE....FOR BOOKINGS & RESERVATION CALL 08130234769 08091045885..
NAIJA GET READY AS SOUTH EAST PROMOTIONAL TOUR EVENT 2017 LOADING.. EVENT HOSTED BY INT'L DJ WATZAPP THE ONLY ONE....FOR BOOKINGS & RESERVATION CALL 08130234769 08091045885..